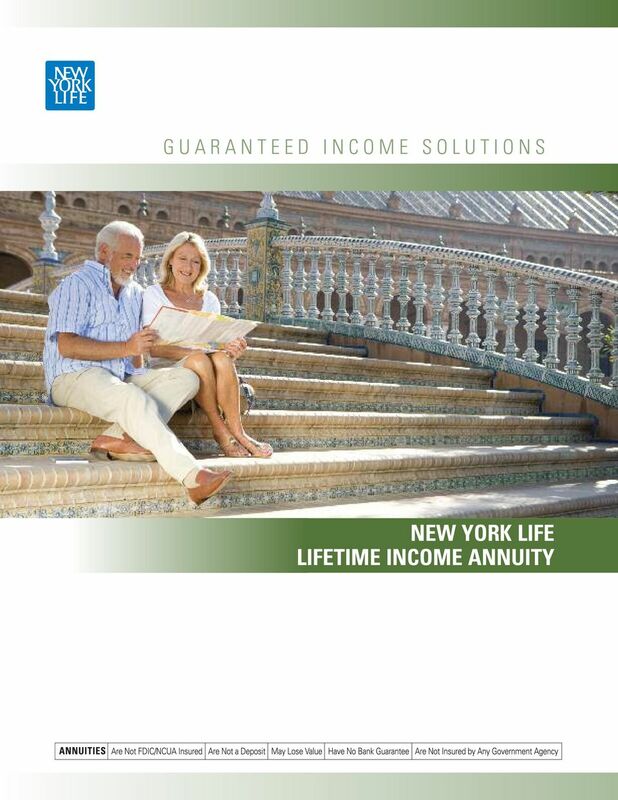 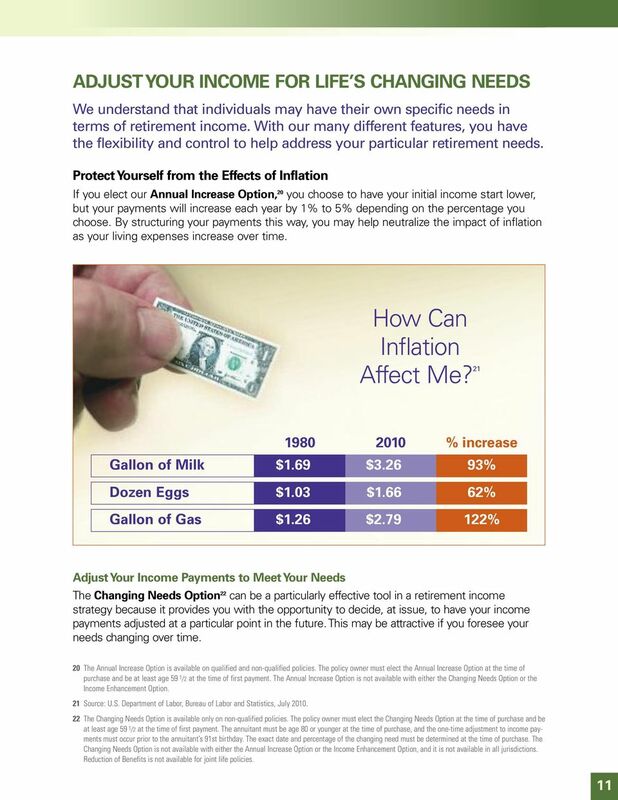 Download "G U A R A N T E E D I N C O M E S O L U T I O N S NEW YORK LIFE LIFETIME INCOME ANNUITY"
15 28 The Up to 100% Cash Withdrawal is not 100% of the original purchase payment and is generally less than this value. 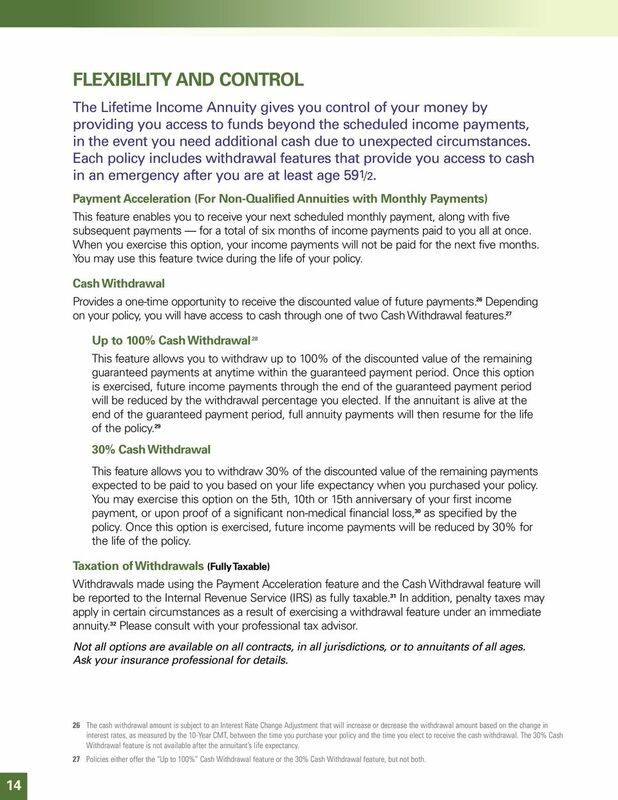 Instead, it is based on the present value of the future guaranteed payments on the policy at the time of withdrawal. 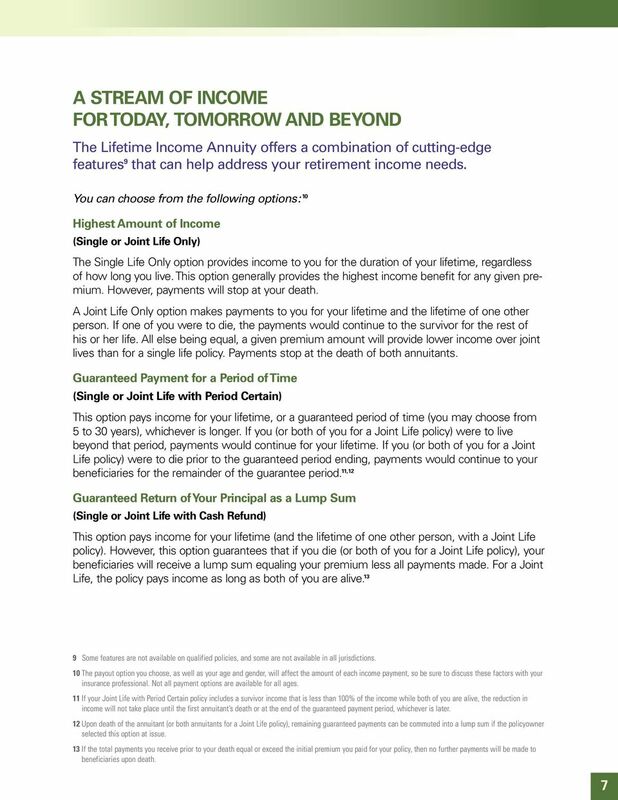 The guaranteed payment period for the Life with Cash Refund or the Life with Installment Refund payment option is determined by dividing the premium paid for the policy by the annualized income benefit amount. 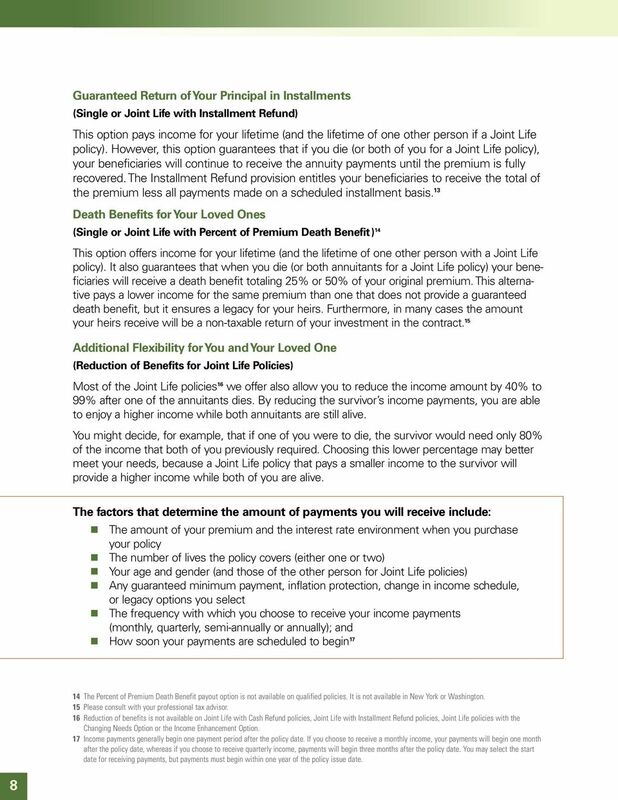 29 For Joint Life policies, full annuity payments will resume for the life of the policy at the end of the guaranteed payment period if at least one of the annuitants is alive at that time. 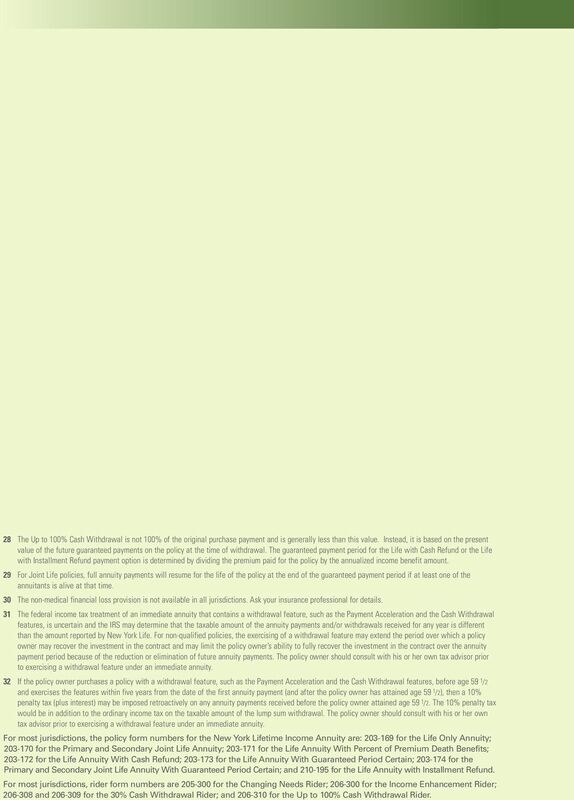 30 The non-medical financial loss provision is not available in all jurisdictions. 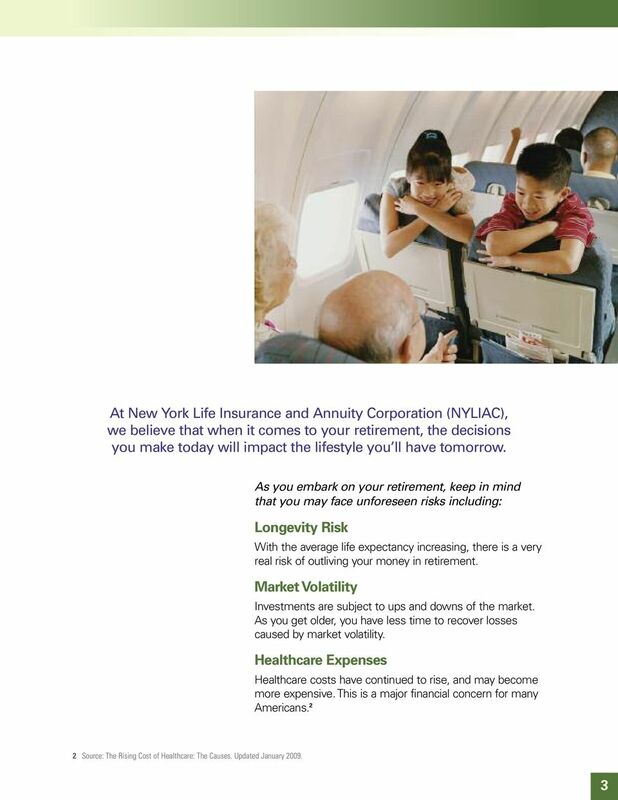 Ask your insurance professional for details. 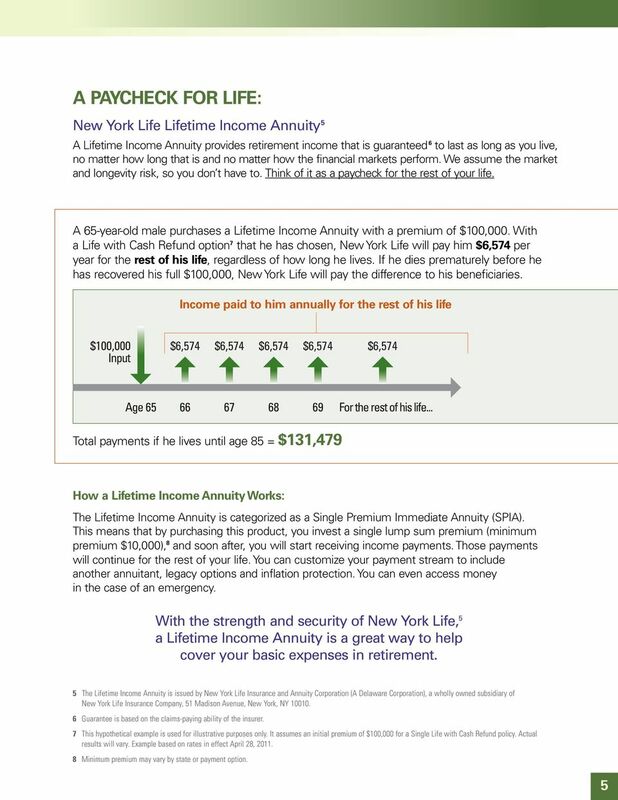 31 The federal income tax treatment of an immediate annuity that contains a withdrawal feature, such as the Payment Acceleration and the Cash Withdrawal features, is uncertain and the IRS may determine that the taxable amount of the annuity payments and/or withdrawals received for any year is different than the amount reported by New York Life. 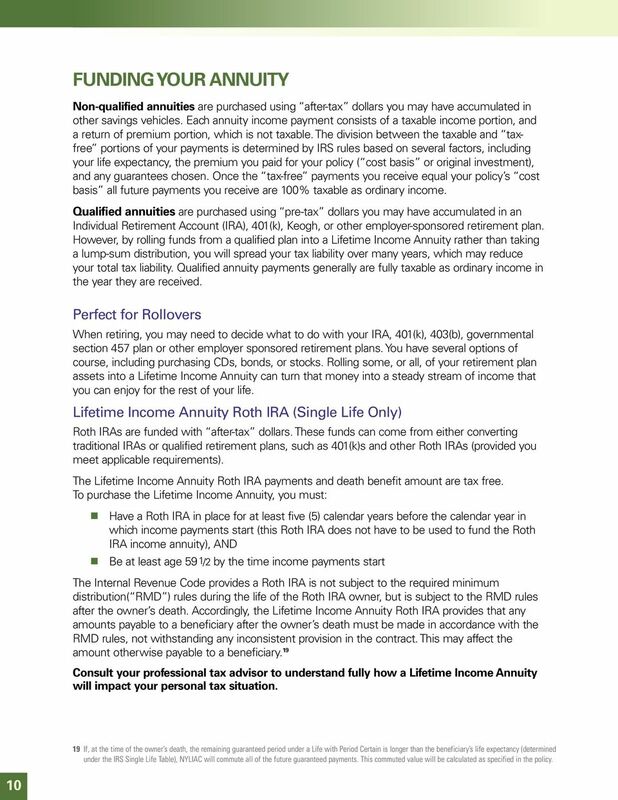 For non-qualified policies, the exercising of a withdrawal feature may extend the period over which a policy owner may recover the investment in the contract and may limit the policy owner s ability to fully recover the investment in the contract over the annuity payment period because of the reduction or elimination of future annuity payments. 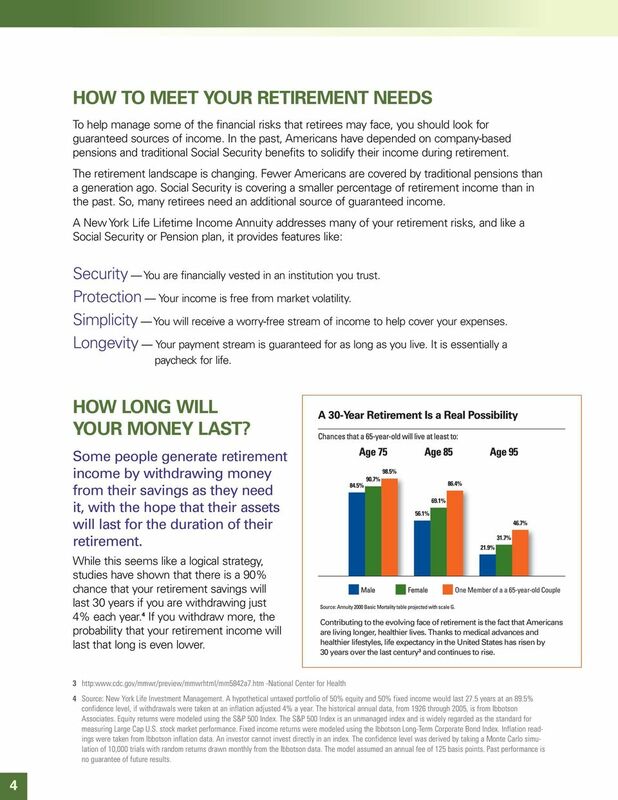 The policy owner should consult with his or her own tax advisor prior to exercising a withdrawal feature under an immediate annuity. 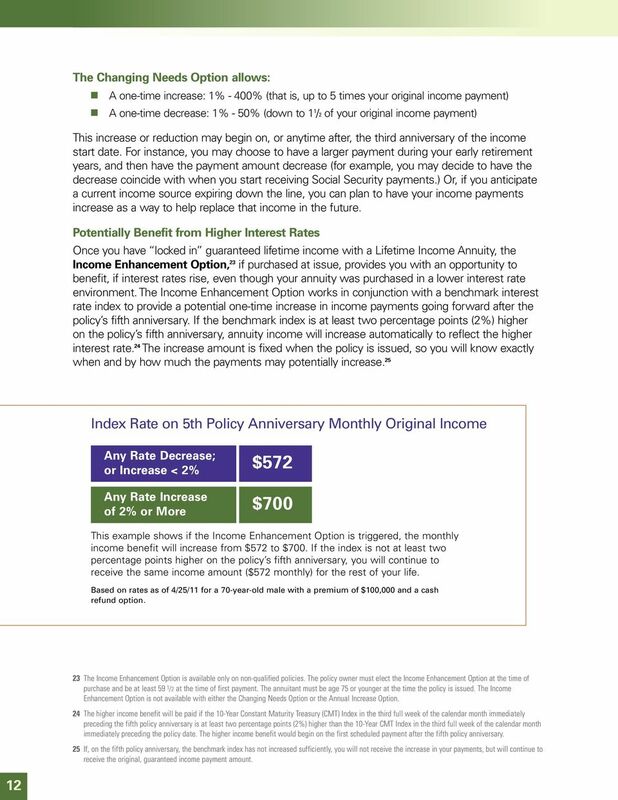 32 If the policy owner purchases a policy with a withdrawal feature, such as the Payment Acceleration and the Cash Withdrawal features, before age 59 1/2 and exercises the features within five years from the date of the first annuity payment (and after the policy owner has attained age 59 1 /2), then a 10% penalty tax (plus interest) may be imposed retroactively on any annuity payments received before the policy owner attained age 59 1 /2. 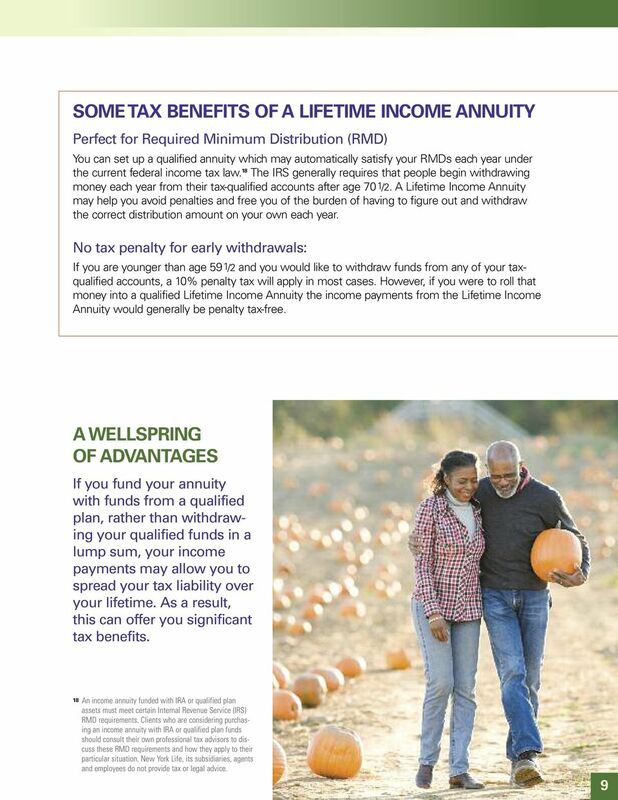 The 10% penalty tax would be in addition to the ordinary income tax on the taxable amount of the lump sum withdrawal. 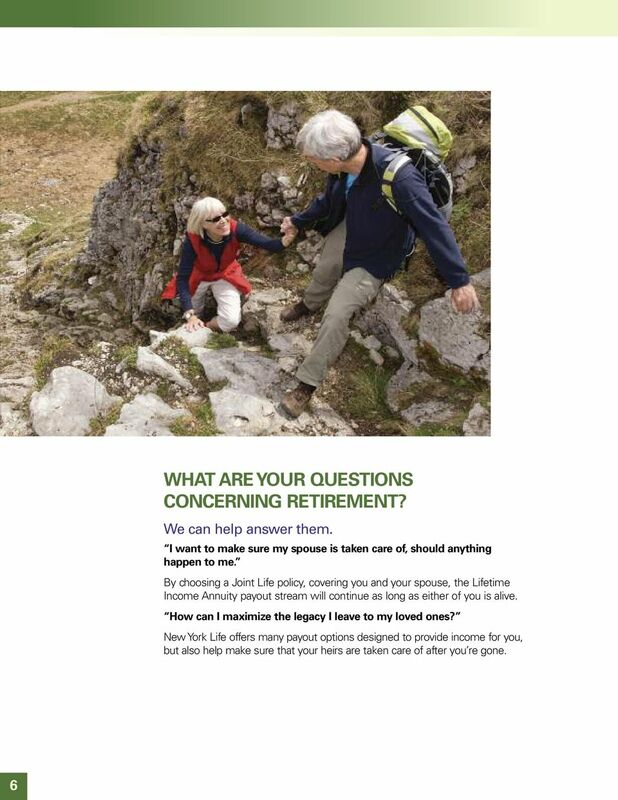 The policy owner should consult with his or her own tax advisor prior to exercising a withdrawal feature under an immediate annuity. 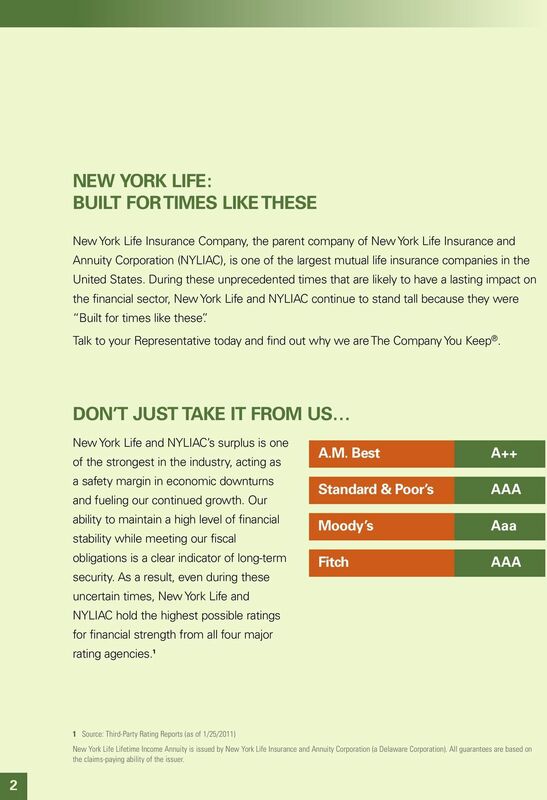 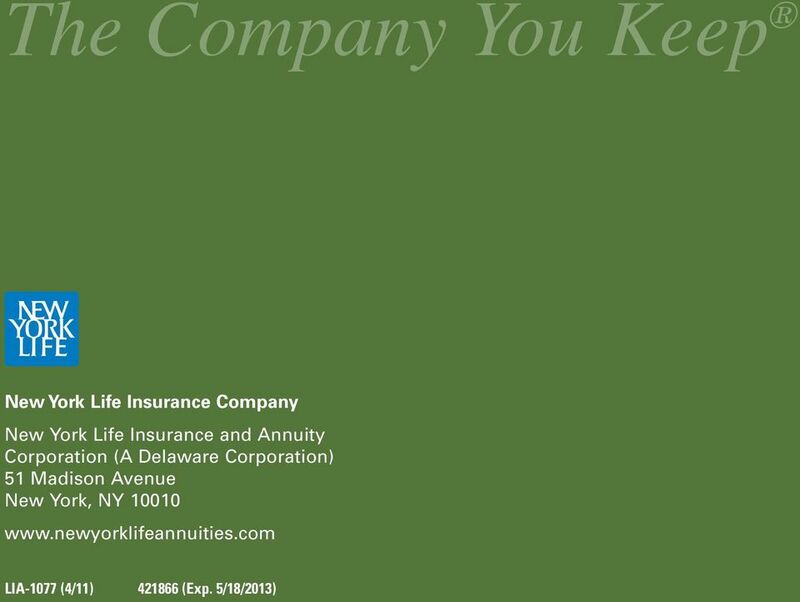 For most jurisdictions, the policy form numbers for the New York Lifetime Income Annuity are: for the Life Only Annuity; for the Primary and Secondary Joint Life Annuity; for the Life Annuity With Percent of Premium Death Benefits; for the Life Annuity With Cash Refund; for the Life Annuity With Guaranteed Period Certain; for the Primary and Secondary Joint Life Annuity With Guaranteed Period Certain; and for the Life Annuity with Installment Refund. 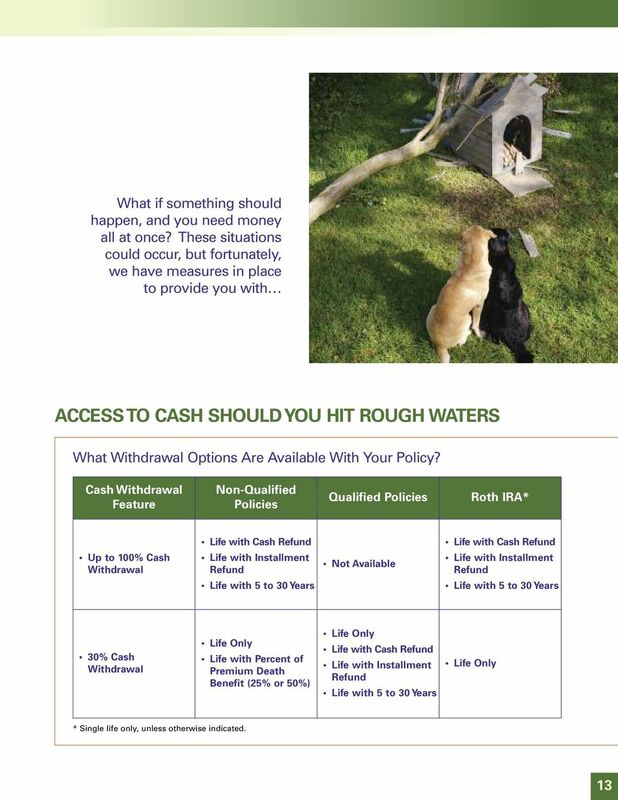 For most jurisdictions, rider form numbers are for the Changing Needs Rider; for the Income Enhancement Rider; and for the 30% Cash Withdrawal Rider; and for the Up to 100% Cash Withdrawal Rider.